Paua is a sea snail from New Zealand with a beautiful multicolour iridescent shell, often made into jewellery. It is also known as abalone. Abalone is not a crystal or gemstone but is a shell from the family that includes clams and scallops. It is very beneficial for its calming effect upon our emotions and is useful for healing the pain of joint disorders, arthritis, heart problems, high blood pressure and also muscle problems. 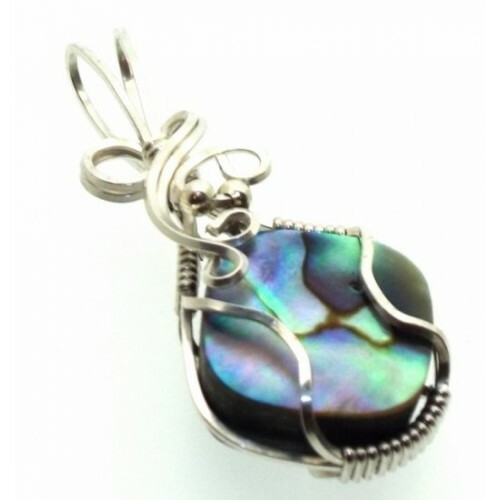 Often people will also use Abalone to promote psychic awareness, psychic development and intuition. It will also inspire creativity and positive thinking. An Abalone essence is very good for digestion and Irritable bowel syndrome.